When we started our birding for us every raptor is an eagle….! We spend lots of time on different plumages of common and local raptor Black Kite thinking that it was an eagle or something different. Day by day we learned difference between Kite and other raptors, their angled wing and distinctive forked tail make them easy to identify, then there is no more query about it. One day me and my friend Sagar Soni while coming back from Thol, we saw unusual gathering of Black Kite in front of Temple. They are flying, landing on ground and eating something. 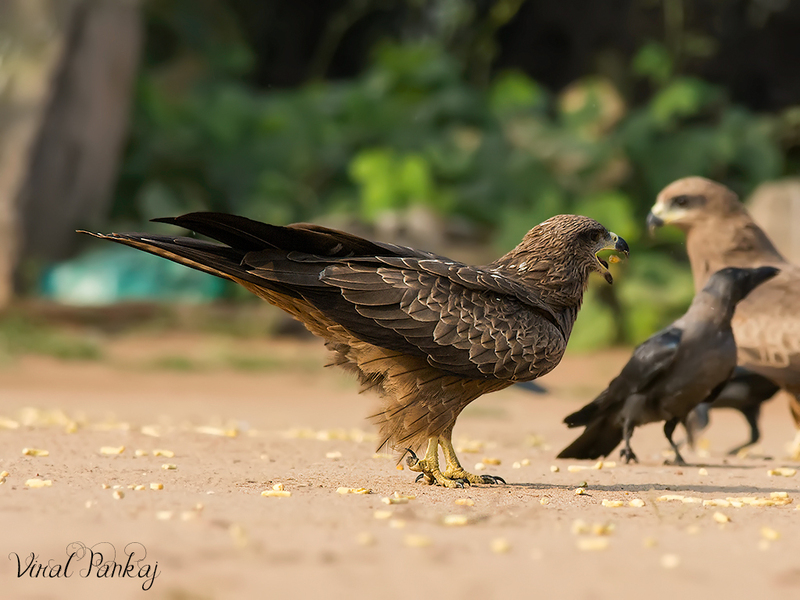 We know that black kites are opportunistic hunters and are more likely to scavenge. But on close observation we find out that they are all feasting on Ganthiya-a popular Guajarati snack…! We are surprise by seeing them and thought that bird become Gujarati...! We know that it was not at all good for them. They are carnivore and their digestive system not made for veg fry item.